Cape Town is more than just a city of breathtaking beauty and leisure tourism; it also brims with creative talent and is widely known as South Africa’s arts and culture hub. It is no wonder therefore that the Mother City has recently also earned the prestigious title of World Design Capital 2014. To celebrate this well-deserved achievement, the South African Post Office will issue a set of five self-adhesive stamps of different designs and one commemorative cover on 28 February 2014. The prestigious status of World Design Capital (WDC) is designated biennially by the International Council of Societies of Industrial Design (Icsid) to cities that are dedicated to using design for social, cultural and economic development. The WDC has become more than just a project or a programme. Today, it is a global movement and serves to acknowledge that design can, and does, have an impact on the quality of human life. Icsid bestowed the title on Cape Town at the International Design Alliance Congress in Taipei. Cape Town is the fourth city to hold this biennial appointment and marks a first for the African continent. It is a great honour and a remarkable achievement to be the first African city to be selected as World Design Capital, positioning the southern tip of Africa as a focal point for the international design community in 2014. Cape Town’s bid was not about the city claiming that it was already an established ‘design capital’, but instead it was a bid to acknowledge that the city is using “design thinking” as a tool for transformation. 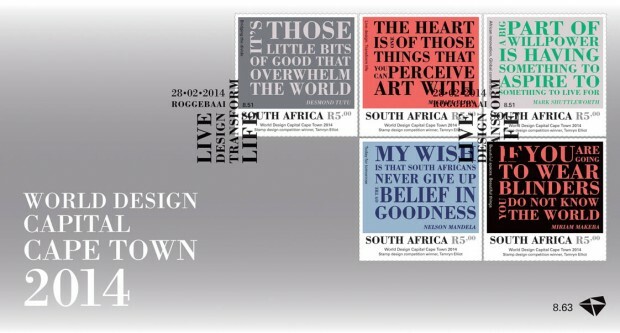 Cape Town’s vision of design is based on socially responsible design, sustainability and innovation. As part of the city’s bid, the theme “Live Design. Transform Life,” was introduced in support of the city’s objective to focus on enhancing its infrastructure to make it a more liveable African city. Winning the bid also means that Cape Town gets to play host to a number of World Design Capital signature events during 2014, including an International Design Exhibition, International Design Policy Conference and an International Design Gala, to name a few. This is good news for Cape Town and the country, not only in terms of a boost in visitor numbers, but also because there will be many opportunities for the city’s creative community to get involved as exhibitors, speakers, delegates, partners and suppliers. Not to mention numerous inspiring events for all citizens to experience. World Design Capital Cape Town 2014 (WDC2014) is therefore an important opportunity to help reposition the Mother City on a world stage as far more than just a city of beauty and leisure tourism. It will be an important milestone on a journey to position Cape Town as a global innovator in socially transformative design. For Cape Town, the WDC appointment comes exactly two decades after the dawn of democracy in South Africa. “2014, then, is the moment when the past and the future will come together for Cape Town, in contemplation and in action,” said Executive Mayor of Cape Town, Patricia de Lille on acceptance of the WDC designation. “It is a reflection of how the city has socially and physically reinvented itself,” she added. “We are grateful for the WDC2014 bid process and title. It has helped to bring different initiatives together and has made us realise that design in all its forms, when added together, creates human and city development. We look forward to learning from other cities that are using design as a tool for transformation, including designated cities Torino, Seoul and Helsinki and our fellow shortlisted cities, Dublin and Bilbao. We are honoured to have been considered with them,” the Executive Mayor concluded. The central theme behind the city’s successful bid, “Live Design. Transform Life”, focuses on the role that design can play in social transformation in the city. It sets the tone and will now form the foundation for the development of an inspiring programme of WDC2014-themed events and projects. 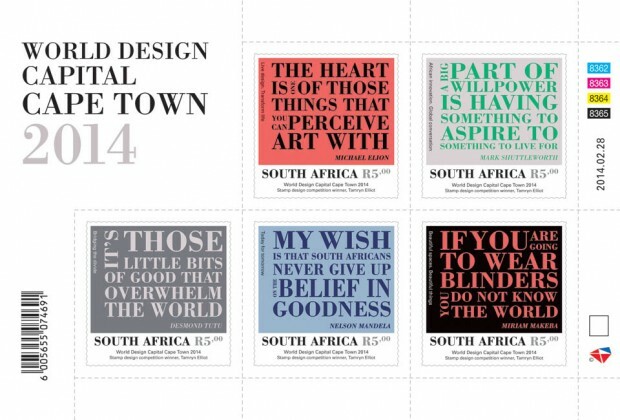 The striking stamp designs by Tamryn Elliot is the result of a stamp design competition organised by the Philatelic Services of the South African Post Office. Artists were requested to submit designs under five different themes aimed at igniting the imagination of the public and contributing towards a greater understanding of the multi-faceted nature of design. 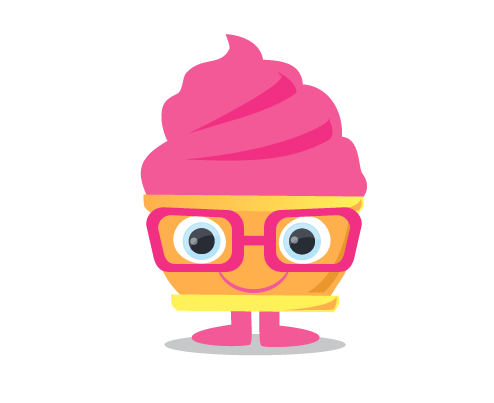 The overarching bid theme “Live Design. Transform Life”, is represented on the first stamp. The other themes are “African Innovation. Global Conversation”; “Bridging the Divide” – reconnecting the city and reconciling its communities; “Today for Tomorrow” – sustainable solutions for people and planet; and “Beautiful Spaces. Beautiful Things” – inspiring architecture, interiors, food, fashion, jewellery, craft, art and creativity. The design of the commemorative envelope complements the stamp designs, elaborating on the same themes. The stamp issue is part of the official WDC2014 programme and was allocated a unique geotag number #WDC263 (visit www.wdccapetown2014.com/projects/). Read more about the competition and the winning entries on page 8 and 9.